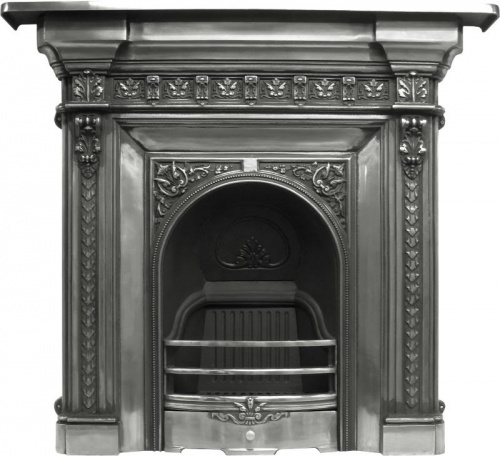 The Melrose is a reproduction of a Victorian cast iron fireplace with a narrow arch and ornate spandrils at each corner. 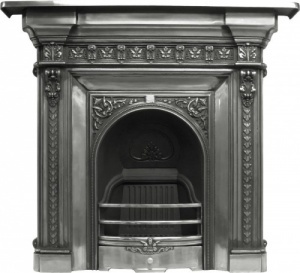 Suitable for solid fuel or gas. 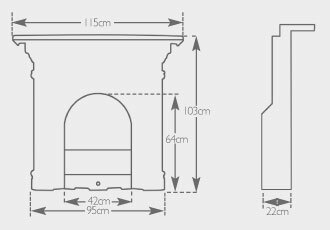 For solid fuel use you will need an ashpan. 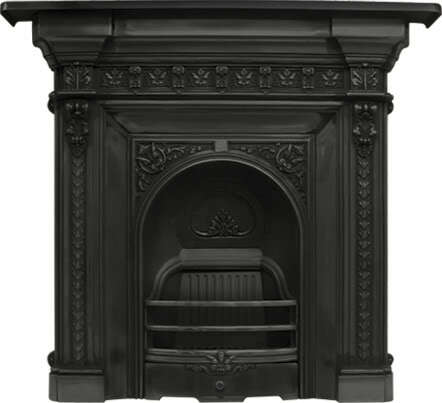 Also available is a Multiglow gas insert, which creates a coal effect fire with coals and real flames. To add to order select from options.